SiteWit closes $1.5 Million Series A round for growing and expanding its paid search do-it-yourself small business marketing platform. SiteWit will use the proceeds to grow its distribution partnerships with leading SaaS providers and website hosting companies. “I believe SiteWit has a unique opportunity to grow tremendously by helping small and medium sized businesses worldwide significantly increase revenues”, says Jon Gordon. SiteWit Corporation (“SiteWit”) which automates search engine marketing and website engagements for Small Business announced today that SiteWit has raised over $1,500,000 in new equity capital from investors including Stage 1 Investors (“Stage 1”) through Jon Gordon, Managing Director of Stage 1. SiteWit provides small to medium sized businesses with tools that enable them to efficiently market their websites themselves on Google AdWords, Bing Ads, and Yahoo which result in higher conversion ratios of website visitors to customers and sales growth. SiteWit markets their tools exclusively thru a cadre of large hosting and software as a service partners who focus website building software and also partners who create marketplaces for the SMB market. “I believe SiteWit has a unique opportunity to grow tremendously by helping small and medium sized businesses worldwide significantly increase revenues,” says Jon Gordon. SiteWit will use the proceeds of the round to develop distribution channels with existing partners such as Yola website builder and others. Furthermore, proceeds will be used to further develop social media and small business lead generation products. SiteWit allows thousands of Small Business owners to market their websites efficiently on Google AdWords, Bing Ads, and other online platforms themselves, with no prior knowledge of online marketing required. SiteWit uses optimization technology to maximize the marketing return on investment and conversions, leading to better marketing results. SiteWit offer seamless integration with hosting and website software companies such as Yola, Endurance International, Wix, WordPress, Weebly and many others. 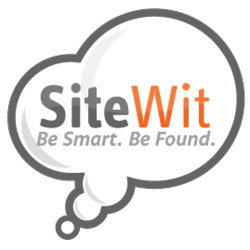 SiteWit. Be Smart. Be Found!